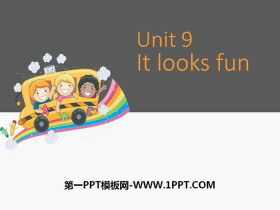 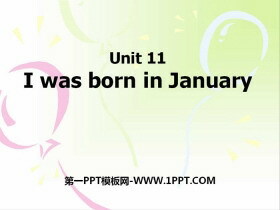 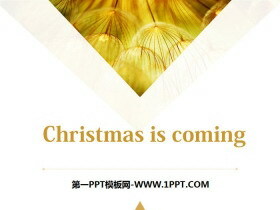 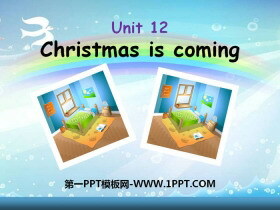 《Christmas is coming》PPT 第一部分内容：本课时目标： 1.学生能听说读以下新词： December, already, soon, lot, lots of, dress up, as, Christmas 2.学生能听懂及使用询问 圣诞节做什?#35789;?#24773;的句?#22270;?#22238;答： What do you li..
《I am very fast》PPT课件 第一部分内容：动名词 What's your favourite sport? 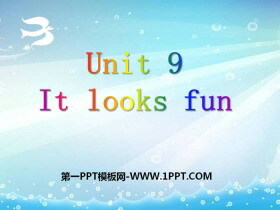 My favourite sport is... 名词 动词ing?#38382;?My favourite sport is football. 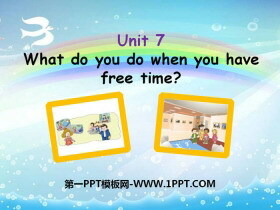 (名词） My favourite sport is playing football.（动名词） My ..
《What do you do when you have free time?》PPT课件 第一部分内容：单词与?#39318;?#30340;应用 free 空闲的、自由的 free time feel 感觉 I feel happy. 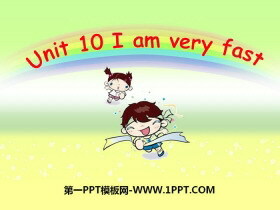 king 国王 Monkey King Let's watch The Monkey King. 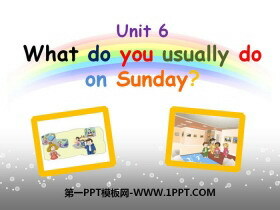 do some reading I often..
《What do you usually do on Sunday?》PPT 第一部分内容：本课时目标： 读懂课文 有能力的学生表演课文。 学生能听说读以下新词和短语：parents 掌?#31449;?#22411;： What do you usually do on? 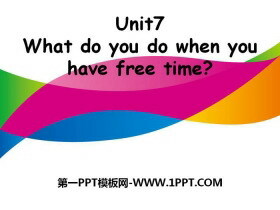 I usually on. 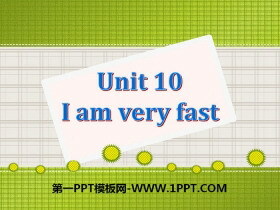 能运用I usually . 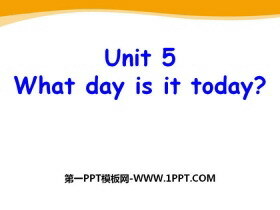 谈论..
《What day is it today?》PPT下载 第一部分内容：?#39318;?-ay nay kay say may pay hay day bay way ray jay lay 星期天 星期六 星期二 Sunday Saturday Tuesday 星期四 星期三 星期五 Thursday Wednesday Friday 星期一 Monday ..